It’s the time of year where you see many big businesses looking toward the future and planning their strategies. This same approach works great for small businesses like your coaching company. TrainingPeaks is built to help make your business more efficient, but also to help bolster your business with these TrainingPeaks Business Services. The TrainingPeaks Coach Match Program specifically designed to meet and match potential coaches with athletes immediately. This service finds athletes who are actively looking for coaching and matches them with accredited coaches in the program. The Coach Match Program has two levels of accreditation and athlete matching. Level 1 requires you to have an active TrainingPeaks coach account for six consecutive months, have a nationally recognized coaching certification, business insurance, and pass the TrainingPeaks Level 1 Accreditation course. The Level 1 Accreditation will allow you to participate in the Coach Match program where TrainingPeaks helps you find athletes. In Level 1, we match athletes with multiple coaches, then the athlete contacts the prospective coaches to decide which is best for them and it is up to the coach and athlete to form a coaching agreement. Level 2 accreditation requires you to meet the Level 1 requirements in addition to attending a TrainingPeaks University, having a letter of recommendation from two athletes, and a short essay on your coaching philosophy. Once this is done, you will speak with a TrainingPeaks Program Manager to become eligible for our Premium Coaching Services. With the Premium Coaching Service, we will match you with athletes, set pricing levels for Bronze, Silver, and Gold levels, and handle all billing transactions. If you prefer to focus on coaching athletes rather than trying to find new ones, let the TrainingPeaks Coach Match Service do the work for you. Through the TrainingPeaks Training Plan Store, you can sell your training plans for an added income. These plans can also be added to your personal URL to market on your own outlets such as Facebook, blogs and newsletters. TrainingPeaks handles all billing transactions, and authors receive 70 percent of the revenue from their training plan sales. Continuing your education is key to professional development and building credibility for you and your business. TrainingPeaks University 101 and 201 are designed to further your knowledge of TrainingPeaks and help you gain more insight into using data analysis in coaching. By investing in your own coach education, you will become a trusted resource for athletes, who in turn create positive word of mouth marketing for you. 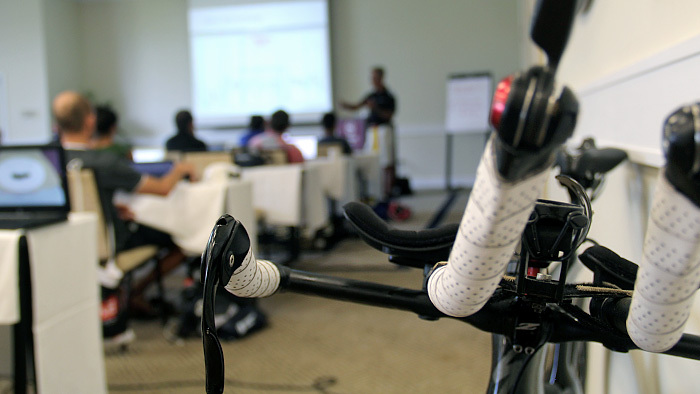 Broaden your athlete outreach by writing for the TrainingPeaks blog. With over 600,000 subscribers from around the world, articles written by experienced coaches on a variety of topics create a trusted resource for athletes. By writing for the blog, you can market yourself to potential athletes as an expert in your field. Our online education webinars and yearly conferences are a great place to fine-tune your knowledge as well. This year, take your business to the next level, or just bolster what you have already created using the business services provided by TrainingPeaks.